Is this Budget pushing 50,000 people out of work? 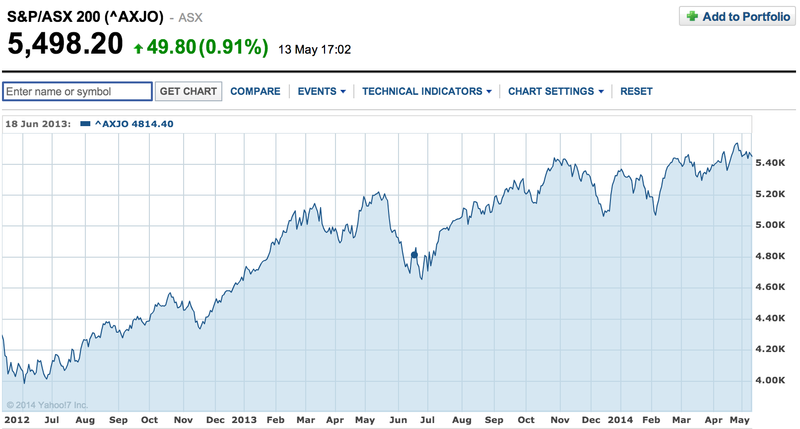 Australia’s economy seemed to be repairing itself, right? 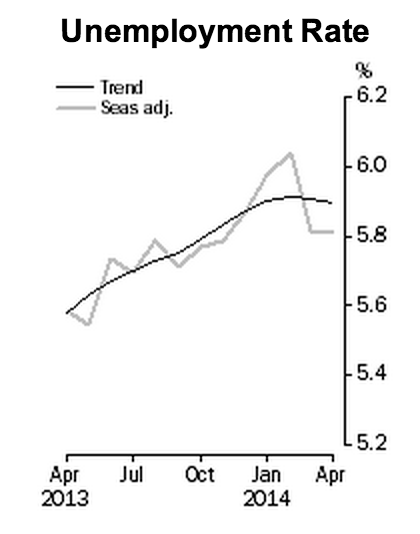 Growth was out of the doldrums. 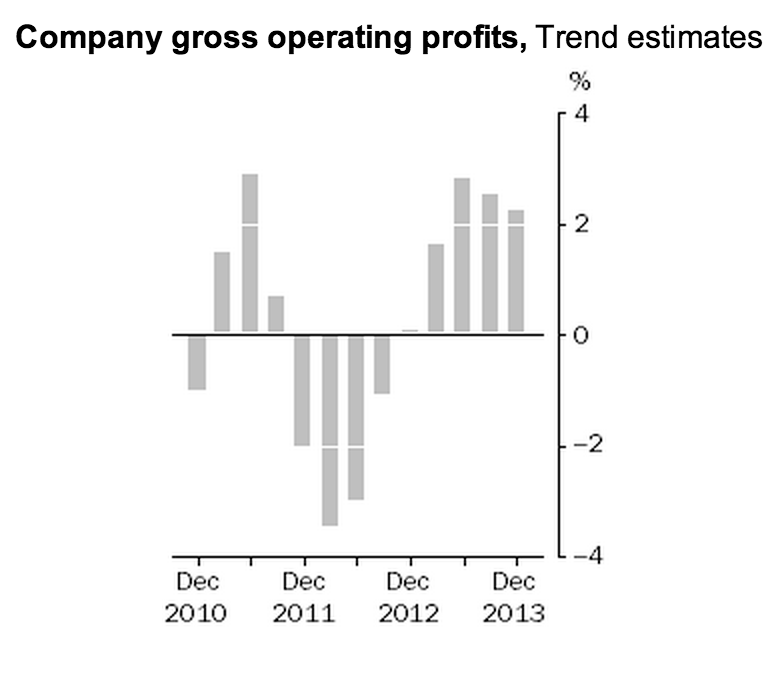 Corporate profits were rising and the stockmarket too. 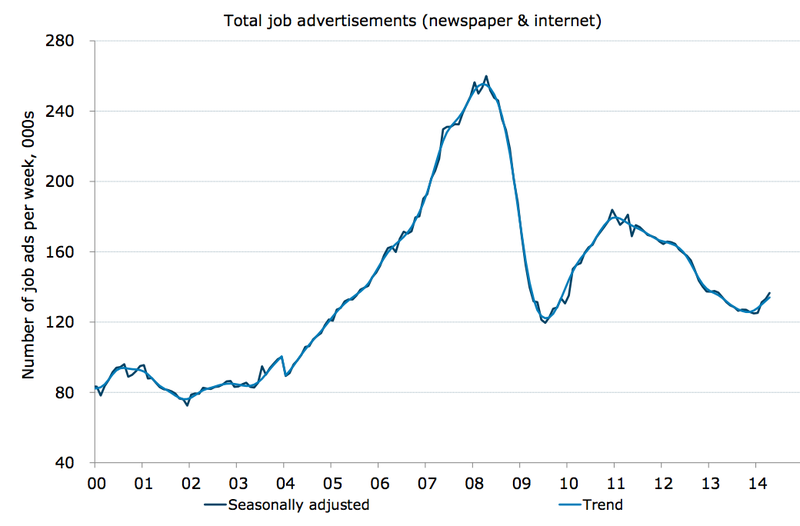 So how come the Budget forecasts the unemployment rate to worsen? The documents released by Joe Hockey last night forecast unemployment rising from 5.8 per cent up to 6.25 per cent by 2014-15. That would represent around 50,000 people out of work. It makes this forecast despite expecting a fall in labour force participation and a rise in growth in our “major trading partners,” from 4.6 per cent to 4.75 per cent. No change since MYEFO? That surprised me. 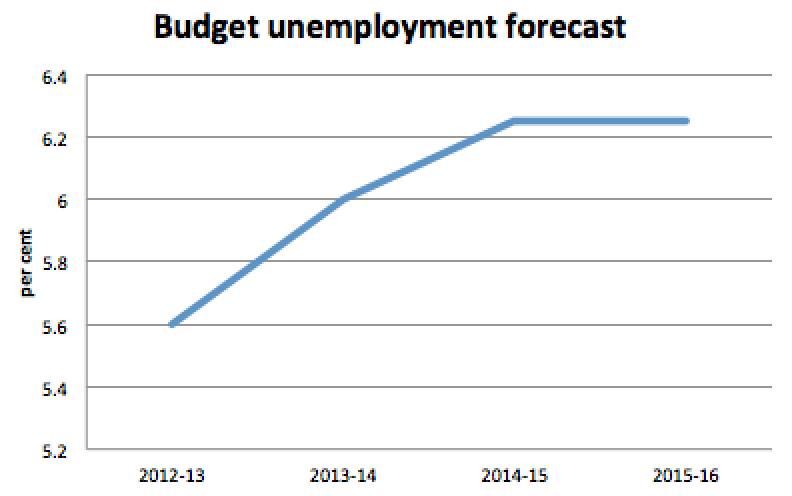 Unemployment forecasts often change between a MYEFO and a Budget. For example, 18 months ago, that MYEFO tipped unemployment of 5.5 per cent in 2013-14. Twelve months ago – at the following Budget – the world looked worse and the forecast was 5.75 per cent. This time, all the good news since MYEFO seems to be nullified by the government’s surplus rush. The Budget’s unemployment forecasts are higher than the consensus economics forecast (see chart at right). Perhaps because they wouldn’t cut so hard at the moment the economic recovery is gaining momentum. All spending helps short-run growth, whether that’s government or private. That’s Keynesianism for you in a nutshell. The government is apparently allergic to Keynesian concepts of economics. They rail against the spending that flowed during the global financial crisis: cheques for $900, funding for insulation, school halls. All they see is the years of deficits. 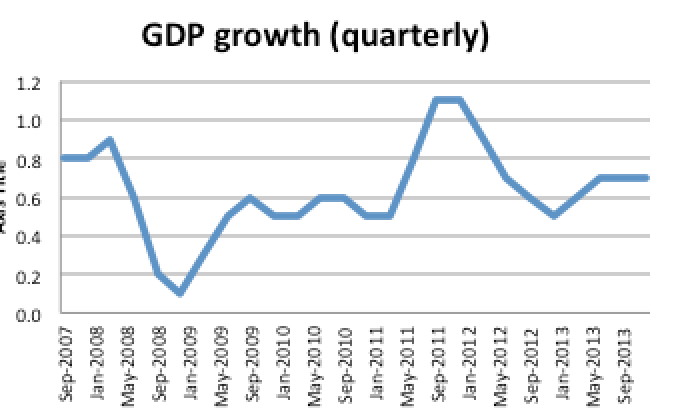 They can’t see a counter factual where Australia’s economy hit the skids. But this allergy is now apparently inflaming the ranks of unemployed. Also know that your taxes will pay more unemployment benefits. Despite cuts to access to the dole, total spending on it is forecast to rise because of the change in the unemployment rate. Essentially the budget is pushing more people into a position where they need the dole, but then compensating by – for some – whisking it out of their grasp. Next Next post: Melbourne Uni or Sydney Uni? Which will become Australia’s Harvard?